Is, I know how to curse. " With this statement, he gives voice to an issue that lies at the centre of post-colonial studies. Can Caliban own Prospero’s language? Can he use it to do more than curse? Caliban’s Voice examines the ways in which post-colonial literatures have transformed English to redefine what we understand to be ‘English Literature’. It investigates the importance of language learning in the imperial mission, the function of language in ideas of race and place, the link between language and identity, the move from orature to literature and the significance of translation. By demonstrating the dialogue that occurs between writers and readers in literature, Bill Ashcroft argues that cultural identity is not locked up in language, but that language, even a dominant colonial language, can be transformed to convey the realities of many different cultures. 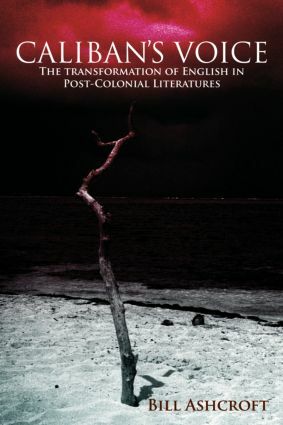 Using the figure of Caliban, Ashcroft weaves a consistent and resonant thread through his discussion of the post-colonial experience of life in the English language, and the power of its transformation into new and creative forms.